Pebble Beach is an unincorporated community in Monterey County, California. Pebble Beach is a small coastal resort destination, home to the famous golf course, Pebble Beach Golf Links. 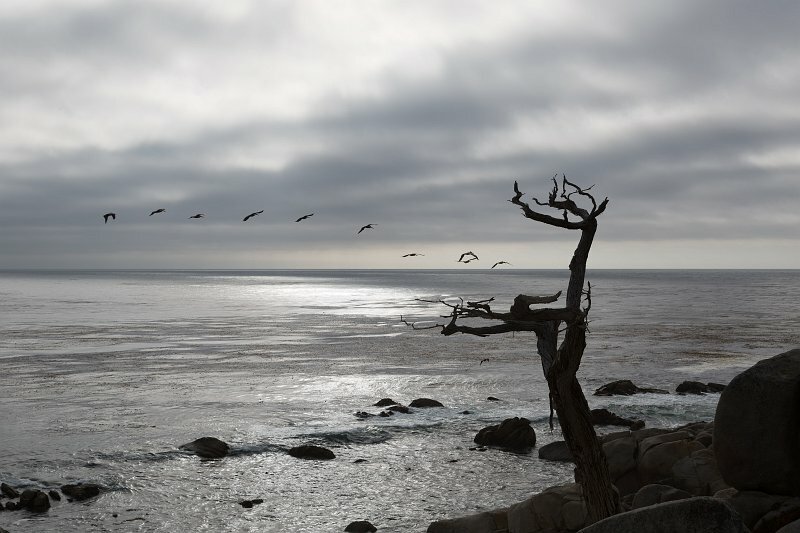 Pescadero Point is the site of the "Ghost Tree", a landmark Monterey Cypress tree. The tree gives its name to a dangerous extreme surfing location known to have storm waves as large as 60 feet (18 m) high.